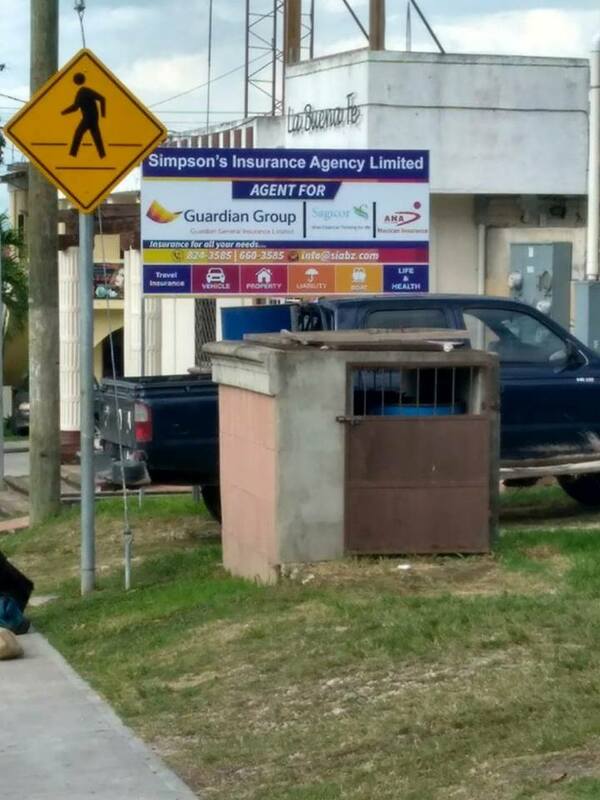 In order to better serve the people of Belize, Simpsons Insurance Agency, LTD (SIAL) has opened a brand-new office in San Ignacio. The new office is conveniently located at the intersection of Bullet Tree Road and Joseph Andrews Drive. The new San Ignacio office is the fourth SIAL location; Belmopan, Belize City, and Punta Gorda. Residents of Cayo District interested in purchasing or learning more about the wide range of insurance products available from SIAL can stop by the office or call 824-3585 or 660-3585. SIAL is helmed by Abel Simpson, Sr., widely known as “Mr. Insurance” around Belize. SIAL has been the leading provider of insurance products for more than 25 years. SIAL is the legal representative for Guardian Group, one of the largest insurance providers in the world, Sagicor Life, and Mexican Insurance from the leading insurance provider in Mexico. SIAL has a large portfolio of insurance products at competitive prices, including vehicle insurance (in both Belize and Mexico) for private and commercial vehicles, marine insurance for both pleasure and commercial vessels, engineering and commercial insurance, liability insurance, travel insurance, health and life insurance. SIAL also has a full range of financial products, including burial assistance, bonds, mortgage indemnity, private and commercial property insurance, personal accident insurance and much more. Whether you’re looking for a specific insurance product or want to learn more about how to protect yourself in case of an unforeseen emergency, SIAL is the name to trust. Simply drop by one of the four SIAL offices and an experienced insurance agent will be happy to explain the financial and insurance products available and how to best protect yourself against personal and commercial risks. SIAL sells everything from short-term travel and vehicle insurance for trips to Mexico to long-term life and property insurance that will give you peace of mind. For all your insurance needs, you can rely on Simpsons Insurance Agency!